If Jesse ever needed to change jobs, I think he should probably consider being a roasted chickpea salesman. 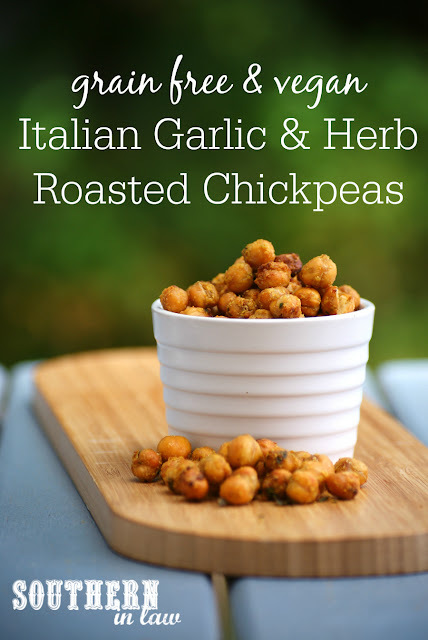 You see, roasted chickpeas and roasted fava beans were one of the first healthy snacks he fell in love with - and he's been convincing people to buy them ever since. They're crunchy, flavoursome and the perfect alternative to chips and Jesse can rarely go a day without them. 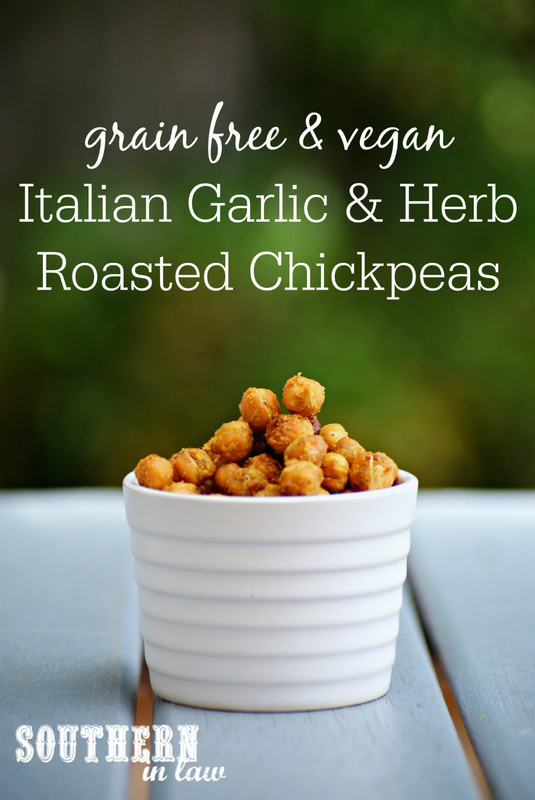 Unfortunately for me, that roasted chickpea habit can get a little expensive - so something needed to change. I knew Jesse wouldn't let me stop buying roasted chickpeas without having an alternative that was even better - and thus I had a mission. 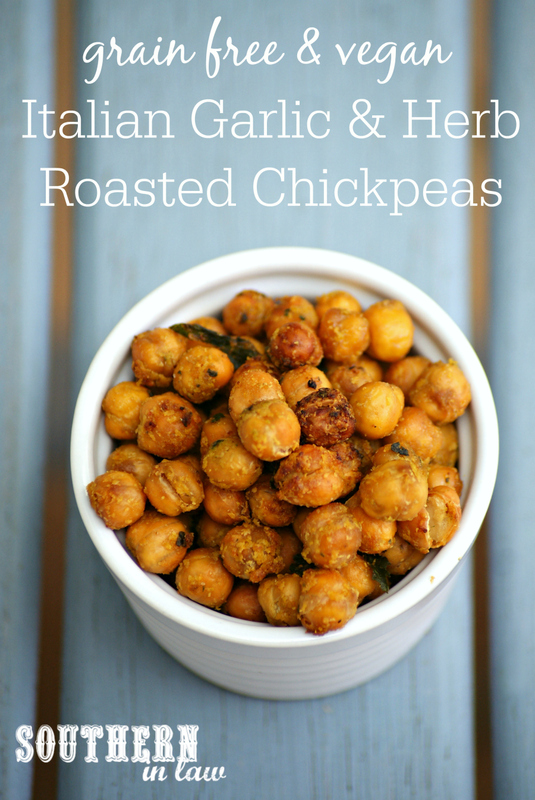 I needed to come up with my own roasted chickpea flavours that were even better than anything could be bought. They needed to be made with healthy ingredients, free from funky additives and easy to make in big batches.... and this recipe ticks all of those boxes. We call these "Pizza Chickpeas" in our house because they have a delicious Italian inspired flavour. They're kind of cheesy and all sorts of delicious and they're jam packed full of nutrients. Nutritional yeast adds a cheesy flavour with a protein and vitamin B boost whilst fresh (or dried) herbs add that traditional Italian flair. They're cheap to make (even organic chickpeas can be found for around $1 a can) and super simple - making them the perfect healthy snack! In a mixing bowl, combine all of your ingredients, mixing until all of your chickpeas are coated with your seasoning mix. 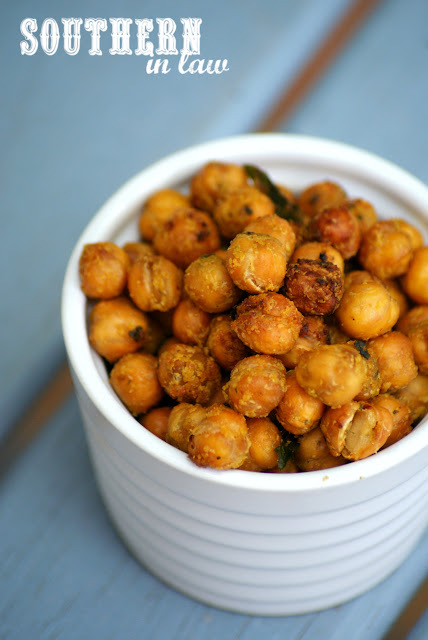 Pour your chickpeas onto your tray and bake for 20 minutes. Move your chickpeas around with a spatula or spoon and bake for a further 15-20 minutes or until golden. Turn off your oven and open the oven door. Move your chickpeas around in the pan again before closing the oven door and allowing them to try out for 20-30 minutes with the oven off. You can skip this step if your chickpeas are already crunchy, however, we find this makes them extra crunchy and delicious! Once cooled, these chickpeas will keep in an airtight container at room temperature for up to a week. *You can change up the herb mix to suit your tastes! We use a mix of basil, parsley and oregano for that Italian flavour! But tell me, what are your favourite snacks? And if you had to be a food salesman, what would you be best at selling?